the WORKS of the Rev. Mr JOHN WESLEY, M.A. viz. sermons bound and stitch’d, Psalms and Hymns bound and stitch’d, Forms of Prayer, Family Prayers, Instructions for Children, Lessons for Children, together with his Appeals and Journals, and various other Tracts to [sic] tedious to insert. A Catalogue of the whole to be seen at the above Place, with the Price fix’d to each Book. Such a comprehensive collection of Methodist books in Norwich at this time suggests close and lengthy contact with the Wesleys for some good time before their arrival in the city. During his five weeks’ stay in the summer of 1754, Charles sometimes lodged overnight with Mr and Mrs Edwards in the city. He also preached in their house when the weather was too wet to hold services in the open air. At other times, members of the infant Methodist society joined Charles in the house following the open-air preaching for further instruction and support. 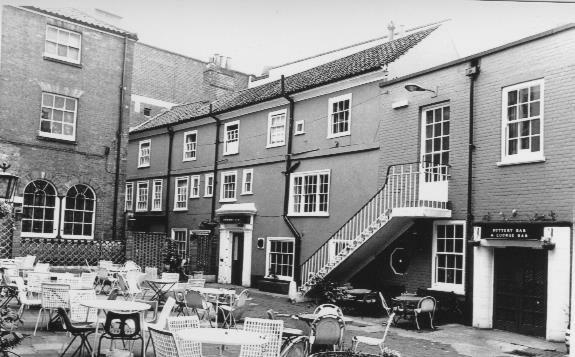 During the next few years, John Wesley stayed at Mr Edwards’ house whenever he was visiting the city. Letter in the Norwich Mercury, 14 July 1753. Life… , Jackson, op. cit., vol. ii, p.57.